3 Right Turns. 4.5 Miles. 15 Minutes. This is the furthest I have ever lived away from my parents’ home in the past 19 years. As a born and bred Ann Arbor townie, I became familiar with the winding, hilly streets of North Campus as a high school cross-country runner training for 5Ks. My summers were spent laying in the grass by the League, listening to live music from local bands during the annual Ann Arbor Summer Festival. Making my way through the never-ending cycle of new restaurants on Main Street was a favorite family pastime. On the day University of Michigan released their admission decisions, I saw my email preview read “CONGRATULATIONS Coleen—You're IN!”. In that moment, I cried, which was a rare occasion. I felt two things - relief and anxiety. I knew that I was going to accept the decision, it was inevitable. The draw of Michigan was too strong - the combination of football Saturdays, world-renowned academics, and the challenging atmosphere embodied by the term “The Leaders and The Best” was a siren call. However, I knew that this agreement would mean that I would stay in Ann Arbor for another four years. While I loved my hometown and was thrilled to explore it through a new lens, I always wondered what my life would be like had I chosen to attend University somewhere further from home. 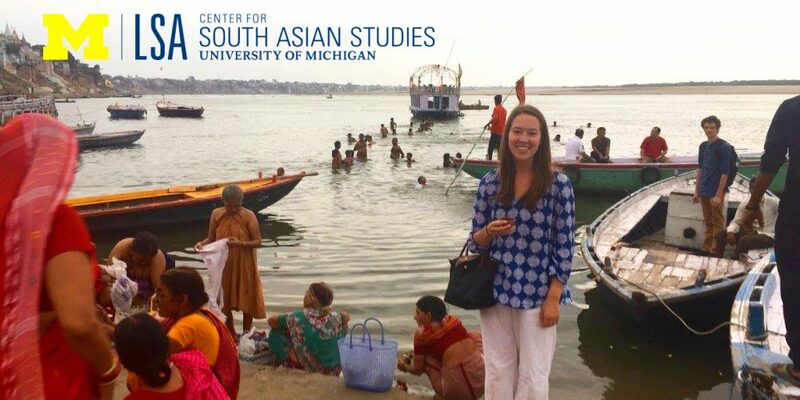 With a strong curiosity to learn more about the world outside of these familiar streets and to have my viewpoints challenged, I discovered the Summer in South Asia fellowship after meeting a mutual friend during welcome week of sophomore year. After just arriving home from a month-long volunteer trip around India, my friend spoke of his adventures working on a train and traveling to remote parts of India to help provide medical treatment for those with transportation issues. The fellowship sounded like the perfect opportunity for me to combine both my eagerness to see the world through an independent, immersive, and introspective lens. Having never traveled abroad before in my life, I was unaware of the magnitude of this endeavor when I was applying to the fellowship. On the day I found out I was awarded the fellowship, for the first time in a long time, I cried again. The countless hours of working on my application and staying up until 2AM to speak with directors of non-governmental organizations in India will result in a tangible ending. I discovered the organization I will be working with this summer through doing online research about reproductive health clinics in India. I am excited to say that I will be interning with the Family Planning Association (FPA) of India in Hyderabad. FPA India is an organization dedicated to providing quality reproductive health information and services to men, women, and children through educational and clinical services. My curiosity about the reproductive health sector stemmed from taking a global health equities class at Michigan. I learned about fistulas that new mothers from remote villages in Africa developed as a result of giving birth. After hearing about the difficulty of maintaining steady access to maternal health treatment for people with limited financial resources and living in remote locations, I want to work with an organization that focused on equitable reproductive health. Through this fellowship, I will focus on examining the socio-cultural and operational challenges affecting the sustainability of a family planning and reproductive health clinic in India. By conducting this research, I hope to ideate solutions for overcoming observed challenges and establish a basic framework for enhancing the current management of reproductive health organizations in developing nations. This entry was posted in Uncategorized by Coleen Truong. Bookmark the permalink. Coleen Truong is a sophomore pursuing a dual-degree in Business Administration and Biopsychology, Cognition, and Neuroscience. After graduation, she would like go into consulting and focus on the healthcare or social impact industries. This summer, Coleen will be spending four weeks in Hyderabad working in the public health field focusing on expanding access to adolescent sexual and reproductive health education and contraceptives. She will be interning with Family Planning Association of India, an organization dedicated to providing quality reproductive health information and services to men, women, and children through educational and clinical services. Coleen’s culminating research project will focus on examining the socio-cultural and operational challenges affecting the sustainability of a family planning and reproductive health clinic in India. Through conducting this research, she hopes to propose solutions to these challenges and establish a basic framework for enhancing the implementation of reproductive health organizations in developing nations.